Kansas landlord and tenant laws are codified in Kansas Statutes Annotated, Chapter 58. The procedures for pursuing an eviction case in the state are found in Kansas Statutes Annotated, Chapter 61. Pursuing an eviction requires compliance with the statutory provisions in both of these sections of Kansas law. The first step of the eviction process in Kansas is the delivery to the tenant of what is called a three-day notice. 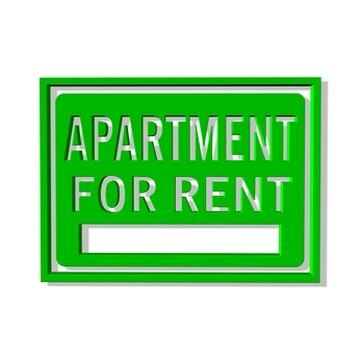 The notice advises the tenant that she must correct a lease violation or vacate the premises within the three-day period of time set forth in the notice. For example, if the notice is provided because the tenant failed to pay rent, she must pay the rent due and owing within the three-day period or move out of the property. If the tenant fails to comply with the provisions of the three-day notice, the landlord has the legal right under Kansas law to pursue an eviction lawsuit. The second phase of the eviction process in Kansas is a forcible detainer case. Forcible detainer is an eviction lawsuit in the state of Kansas. A forcible detainer case is filed in the county or district court in the county where the rental property is located. The case is filed pursuant to the provisions of the Kansas limited actions law, found at Kansas Statutes Annotated, Chapter 61. A preliminary hearing and ultimately a trial is scheduled for the case. If the landlord prevails, the court issues both an order granting a judgment in his favor as well as what is known as a writ of assistance. The writ of assistance is an order directing the county sheriff to remove the tenants from the rental property if they do not voluntarily vacate following the court judgment. The writ of assistance directs the sheriff to remove the tenant within 10 days of the issuance of that order. Broemmel, Mike. "Kansas Eviction Laws." , https://legalbeagle.com/6456405-kansas-eviction-laws.html. Accessed 22 April 2019.